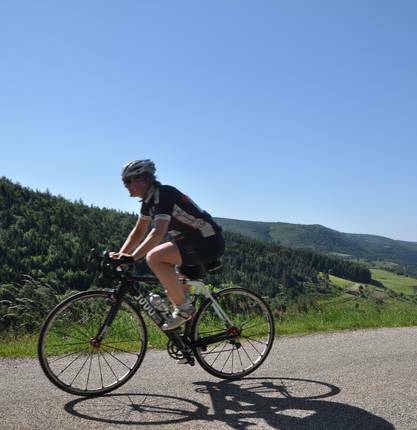 Whether you’re a seasoned or occasional cyclist, and whether you opt for the tough L’Ardéchoise race course or the flat riverside ViaRhôna - take a spin around our region! 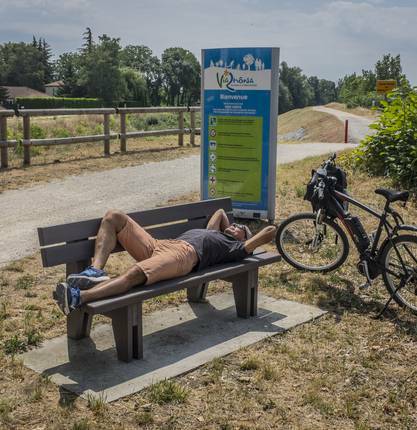 Discover the ViaRhôna cycle road, stroll the vineyards without any effort with an e-bike, ride on the routes of the famous Ardéchoise cycle race... Rent your bike, mountain bike, fatbike, E-bike, child bike by our professionals. 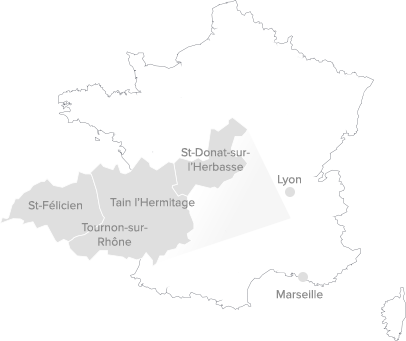 On the roads of the mythical Ardéchoise cycle race, starting from Saint Félicien, the European capital of cycle-tourism! 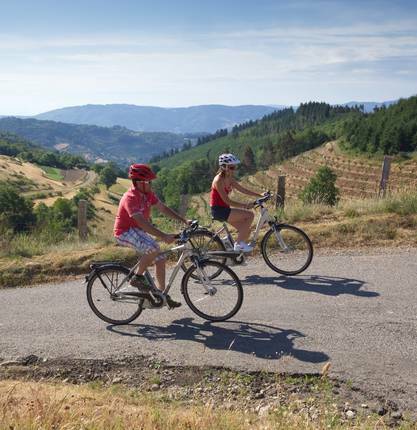 Many cycling tours between the Drôme and Ardèche counties, download your excursion and enjoy ! 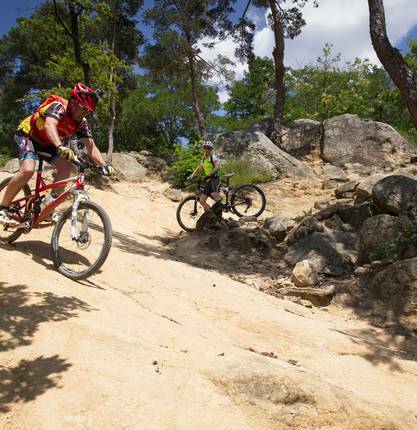 Ride on the paths of the “Drôme des collines” and “Ardèche verte” on your mountain bike. Marked routes, adapted to all levels of practice. Area labelled MTB- FFC. Download your course, ready, steady, go! Travel at your own pace, along marked routes and green leisure trails. Follow the ViaRhôna and / or the Valley of Isère cycle routes, roaming or for a simple excursion, the pleasure of cycling in complete safety. For mountain bike lovers, the great crossing of the Ardèche, 315km of paths from the north to the south of the department.